Tice Electric Company was founded in Portland by two brothers, Linton and Arthur Tice, in 1934. 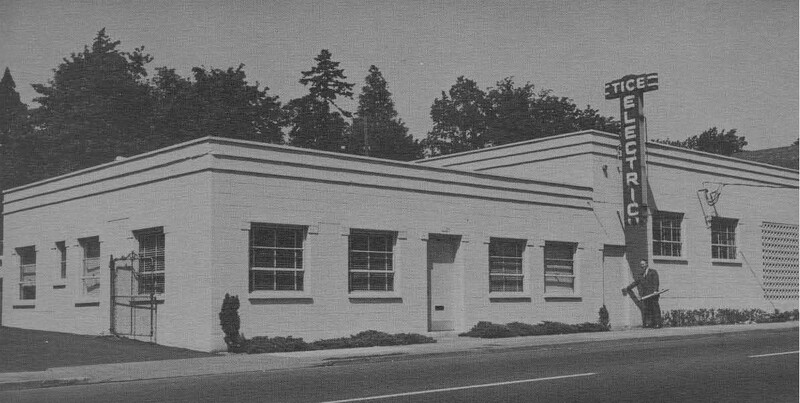 The company offices were first located on SE 9th & Hawthorne until 1948. The office moved to SE 21st and Belmont and remained there for 59 years until the move to Swan Island at 5405 N Lagoon Avenue. The company survived the Great Depression and World War II and the brothers were joined by two additional partners in 1951, L.G. “Greg” Gregersen and J.W. “Jack” McKinnon. The Tice brothers retired in the 1960s. In the 1980s, the company added partners John Maloney, Gordon Gregersen, and Gary Severe. Jack McKinnon retired in 1986 and Greg Gregersen remained with the company until his death in 1989. Under John, Gordon, and Gary’s leadership in the 1990s, the company experienced significant growth. Gordon Gregersen retired in 2003, John Maloney retired in 2010, and Gary Severe retired in 2013. In 2014, Tice celebrated its 80th continuous year of electrical contracting. Tice Electric Company currently has three owners: Patrick Maloney, Michael Podkranic, and Ian McHone. All have been with Tice since the early 1990s and are active in the day-to-day activities as well as the development and implementation of long-range goals and strategies. Throughout its history, the company successfully completed some of the area’s largest and most complex electrical projects. Tice Electric Company is one of the oldest privately owned electrical construction firms in the Pacific Northwest.